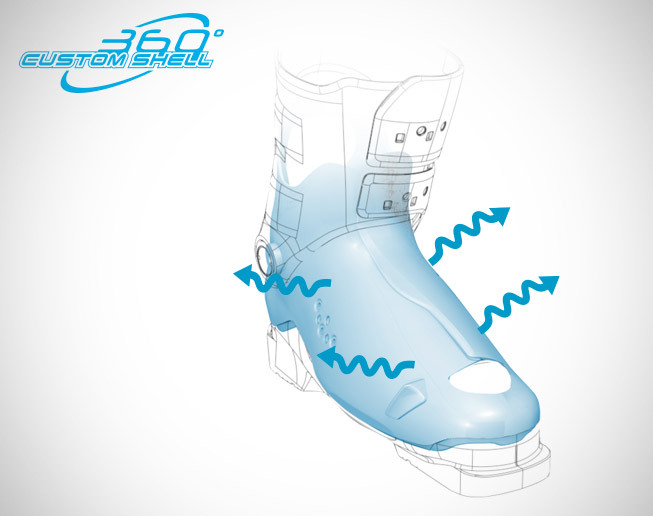 Looking for quick response and a precision fit, but not interested in torturing your feet with a super stiff performance boot? 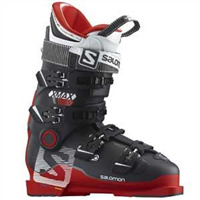 Check out the Salomon X Max 100 Ski Boots - we think you'll be pleasantly surprised. With the same 98 mm heat customizable fit as the other X Max boots, but in a reasonable 100 flex, the X Max 100 is perfect for advanced skiers who love the feeling of a great fit but don't need overbearing stiffness. 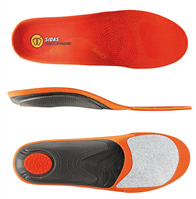 98-104 mm 360° Custom Shell – Heat moldable shell will accommodate a wide range of foot shapes and widths. 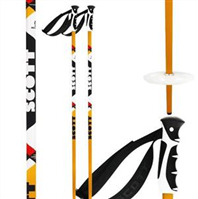 Flex: 100 – Medium-Stiff flex best suited for advanced skiers. My Custom Fit 3D Pro Liner – Firm performance liner with 60% thermoformable foam. Bi-Material PU Shell – A bi-injected shell made from Polyurethane, a material with consistent density enabling effortless progress on-snow, provides well adapted stiffness in a, durable, dynamic and abrasion resistant piece. 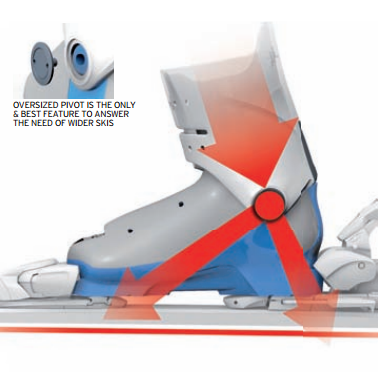 Bi-Material PU Cuff – A reinforced rear, lateral insert allows the use of a softer front cuff for improved leg wrapping and progressive flex. This, durable, dynamic and abrasion resistant piece is made of Polyurethane, a material with consistent density that enables effortless progress on-snow. 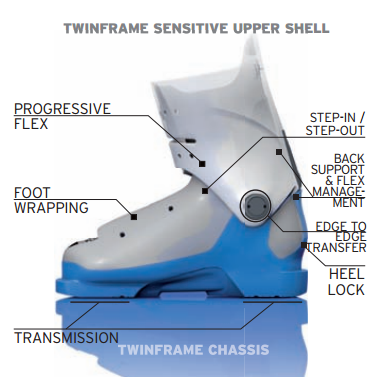 TwinFrame Technology – Salomon dials in just the right amount of rigidity where it's needed for performance and leaves the shell softer in other areas to enhance comfort and ease of entry. 4 Micro Alu Buckles – To micro adjust the length of the buckles for a precise and personalized closure, just turn the lever. 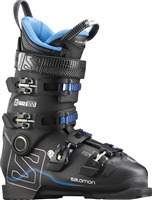 Alu buckles are more resistant and have a rich finish, accepted by all athletes because of their confident feel. 24 mm Oversized Pivot – Better control during edging.